When Lilian first saw the modern charcoal stove for sale through a local retailer in her town of Kiserian, Kenya, she admired the product. But with only 1,000 shillings (USD $10) in her pocket, she couldn’t afford to pay for the $40 stove outright. School fees were a struggle and kept her savings account empty. “You save a little, you buy something,” says Lilian, who also lacks access to a microfinance or savings group that might lend her the money. Before this purchase, Lilian was one of the 40 million Kenyans using inefficient, dirty stoves or open fires to cook their daily meals. Globally, the use of inefficient cooking devices contributes to more than four million deaths annually from respiratory and heart diseases. In addition, charcoal cooking fuel — for which demand is growing and unsustainable production practices are causing deforestation at alarming rates across Africa — can cost as much as a third of a low-income family’s earnings. Using a more efficient stove can save up to a half of that. The challenge, as Lilian discovered, is that the improved stoves cost more and require upfront payment. 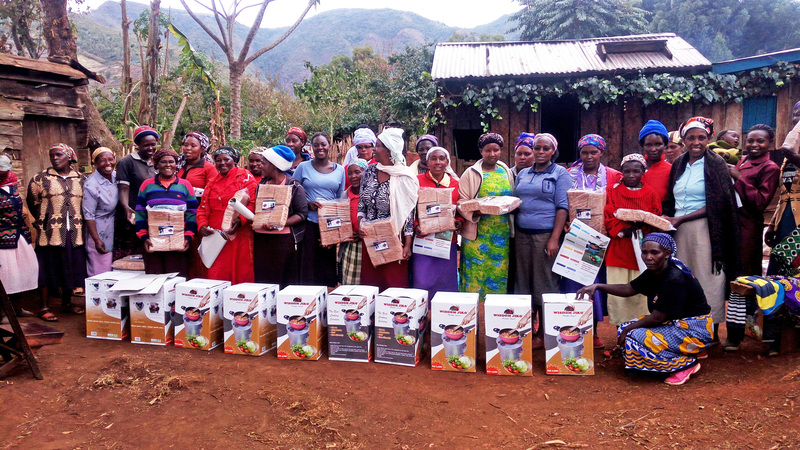 To address this gap, USAID awarded Winrock the Developing a Sustainable Cookstove Sector project with the goal of expanding the distribution of and financing for advanced fuel-efficient cookstoves for Kenyans. It was a project tasked with increasing local financing options and expanding consumer access. However, we immediately ran into a problem that affects many products targeting low-income consumers: small loan size. How do you finance products, such as improved cookstoves, that are too expensive to purchase outright but too cheap ($30-$80) for traditional lenders to take on? Our first idea was to incentivize traditional lenders to add cookstoves and other household energy products to their current portfolios using aggregation and bundling. The good news is that in three years of working with formal financial institutions in Kenya to develop consumer financing channels for advanced biomass cookstoves, these channels facilitated the sale of more than 30,000 stoves! However, we realized that there was still a large untapped market beyond the financial institution networks — “unbanked” consumers who did not have cash to pay for stoves upfront and who also lacked credit options. While formal financial institutions had proven an excellent distribution channel because of their ability to aggregate and provide financing to clients in their networks, they were bypassing consumers for whom lack of financing was a major barrier to purchase. 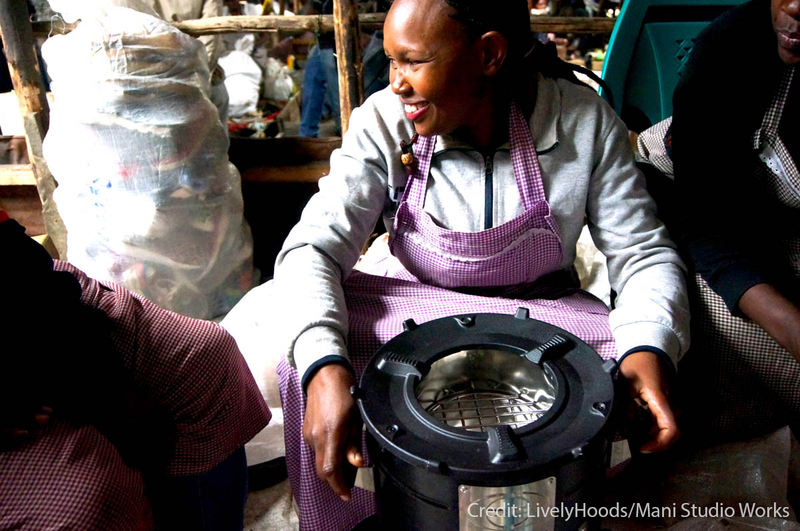 The Developing a Sustainable Cookstove Sector project expanded the distribution of and financing for advanced fuel-efficient cookstoves for Kenyans. But how do you provide financing to consumers with no bank account, no collateral and no history of borrowing? One solution is for product manufacturers and distributors to provide credit, but this adds stress to already thinly stretched working capital, not to mention a level of complexity to back office systems for tracking and following up on payments. It also turns a trusted service provider into a debt collector, changing the tone of the relationship and customer experience. We urgently needed to find alternative solutions. Solution #1: Develop innovative end-user finance solutions through existing financial networks that can reach previously excluded customers. Psychometric scoring emerged as one such solution. 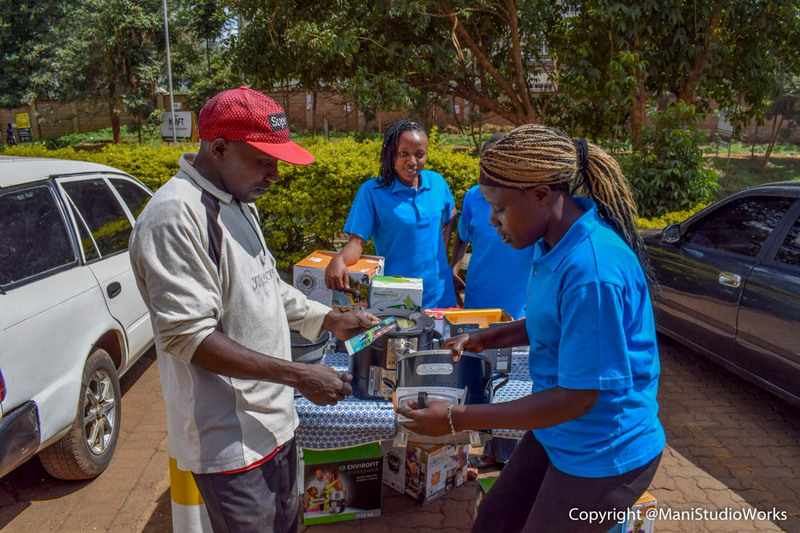 BioLite, a leading cookstove manufacturer, teamed up with Juhudi Kilimo, a Kenyan microfinance institution, to integrate psychometric scoring into Juhudi’s customer appraisal process, with the goal of bringing previously unbanked customers into its network. 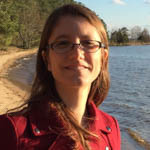 Psychometric scoring was developed by Entrepreneurial Finance Lab with the objective of relying on an individual’s strength of character as a proxy for credit history. It does so by asking the customer to complete a 45-minute survey that tests for character traits of a client likely to repay, such as integrity and autonomy. It casts a wider net of potential borrowers by relying on strength of a character as a predictor of credit repayment in the absence of a formal credit history. Solution #2: Develop informal financing solutions through local retailers as alternatives or gateways into formal finance networks. Pay-as-you-can layaway and credit schemes became another answer for low-income borrowers. Two grantees — LivelyHoods and Wisdom Innovations — proposed to develop internal financing systems that would sidestep the usual working capital hurdles associated with in-house credit provision and allow them to pass that benefit on to the consumer. LivelyHoods developed a layaway system using mobile money payments called LivelyHoods Installment Payment Arrangement, or LIPA (which means “pay” in Swahili). Customers paid what they could, when they could, with most making micro-payments daily that paid off the stove in just one month. Meanwhile the stove remained in LivelyHoods’ possession until the final payment was made, thus reducing the risk of default. Wisdom Innovations provided credit through local women’s groups, using monthly group meetings to collect and aggregate cash payments that could be paid collectively via mobile money, with the repayment insurance that a group lending model brings. We learned a lot through these pilots. Juhudi found the survey very time consuming for its loan officers, leading them to a second pilot using text messages rather than in-person surveys. Juhudi also realized that by selecting a specific cut-off score (which was designed to see repayment rates on par with its traditional clients) on the psychometric test, they were still excluding customers who might otherwise borrow and repay on time. For that reason, they see psychometric scoring as one in a suite of potential credit appraisal options. LivelyHoods had to readjust its agent training and introduce proper incentives to expand the use of LIPA versus the previous status quo. They also increased the down payment from the initial amount, after learning through the pilot that the increased buy-in, while still affordable, attracted customers who were more likely to finish making payments. And, as Lilian confirmed, they found that the flexibility of allowing people to pay what they could when they could resulted in high levels of on-time in-full stove purchases. Wisdom found that shortening the repayment period led to better overall repayment rates. They also realized that hiring more women sales agents resulted in higher sales among women’s groups, and they have now shifted their company strategy to integrate women at every stage of the value chain. Through this pilot, Wisdom also readjusted its business model to target small shop owners as aggregators. Providing shop owners with credit can extend financial inclusion benefits to additional customers. 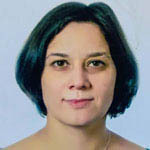 Naomi, another LivelyHoods customer, provides one such example. She decided to open her own shop at the market eight years ago selling children’s clothing because “jobs are few in Kenya.” But her income isn’t consistent, and 80 percent of the money she makes from the sale of her clothing is reinvested in new inventory. Naomi belongs to a savings and credit cooperative but had a bad experience — someone “ran away with the money,” she says. Now she prefers to continue alone, reinvesting in her business, hoping to one day get the opportunity for an individual business loan. When she found out she could pay for her stove little by little over five months, as she had extra money available, she jumped at the opportunity. What she likes most about the stove is its speed, saving her time and saving her expensive charcoal. Although she’s never extended credit before, she is now considering providing the same option to her own customers. Through these pilots, 1,500 stoves were financed in six months, primarily to individuals who would not have purchased them otherwise. All three programs continued beyond the funding period and have seen transformative impacts on sales and company strategies. So, while financing unbanked consumers for the purchase of life-improving products is still a challenge, we were able to demonstrate that creative alternative solutions exist for customers like Lilian and Naomi. These solutions will help them and many others cook cleaner and more efficiently and will unleash savings for the future.